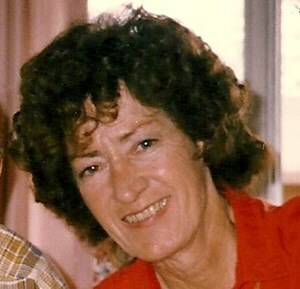 Newcomer Family Obituaries - Rose Mary Metcalf 1939 - 2019 - Newcomer Cremations, Funerals & Receptions. Rose Mary Metcalf was born on Oct. 28, 1939, in Hugo, Colorado, to Leo and Helen Bosse. She graduated from Hugo High School in 1957 and moved to Denver. She married Joseph Aaron Metcalf on Feb. 6, 1960, and they moved to Hawaii for three years. When they returned to Denver, she worked as an accountant. Rosie volunteered endless hours at Notre Dame Elementary School. She helped in the library, art classes, and with remedial reading classes. She shared her love of learning and reading with many. Rosie enjoyed travelling, camping, sports, puzzles, card games, yard sales, bowling with her friends, and playing with children. She was a mom who let kids use every chair and blanket in the house to build a fort, then climbed through it with them. She loved being a grandma! She played sports, started snowball fights, and played dress-up with each grandchild. She would climb in bed with the kids at night to read to them. Rose is survived by her daughter Katie (Jon) Harper, son Andy (Melody) Metcalf, and six grandchildren: Quinton, Aronne, Ciara, Bailey, Lilliana, and Evin. She is also survived by her sister, Annie Konruff; sisters-in-law Della Perlenfein, and Carrie Mae Metcalf; brothers-in-law Paul Metcalf and Sherman (Martha Ann) Metcalf; along with numerous nieces and nephews, and special cousins, friends, and partners-in-crime, Stan and Carrie Campbell. Visitation will take place at Newcomer Funeral Home, 901 S. Sheridan Blvd, Lakewood, CO, on February 13, 2019 at 11 am, followed by the funeral service at noon. Interment will follow at 2 pm at Fort Logan National Cemetery, 3698 S. Sheridan Blvd. In lieu of flowers, the family requests donations be made to the Epilepsy Foundation. Add your memories to the guest book of Rose Metcalf. So sorry for your family's loss of your loved one. May the Lord be with you and comfort you at this difficult time.
. She can now be your guardian angel. You are right in that I never heard her complain about anything. Growing up, I always thought Rosie and Aaron were rich because they gave the coolest Christmas gifts. What I later realized that they were just cool. While we will all miss you, I know you will be happy to see Joe, Uncle Aaron again. While you were a great aunt, you were an even better wife. So many could learn from your example; God Bless and Rest In Peace. You will be missed.